Gallery - Benvenuti su restaurantoceania-nl! To get an impression of Oceania's interior and signature dishes, please select one of the tabs above to discover the ambiance and dishes. 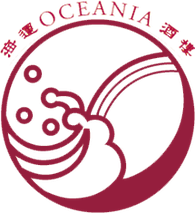 Furthermore, over the years Oceania has built a qualitative and trustworthy name that is recognized by local- and international stars. We love to keep track of those memories and would like to share them with you. Please find these treasured moments at 'Celebrities'. Of course we always strive to deliver the same quality to all customers. So please be Welcome and Enjoy.